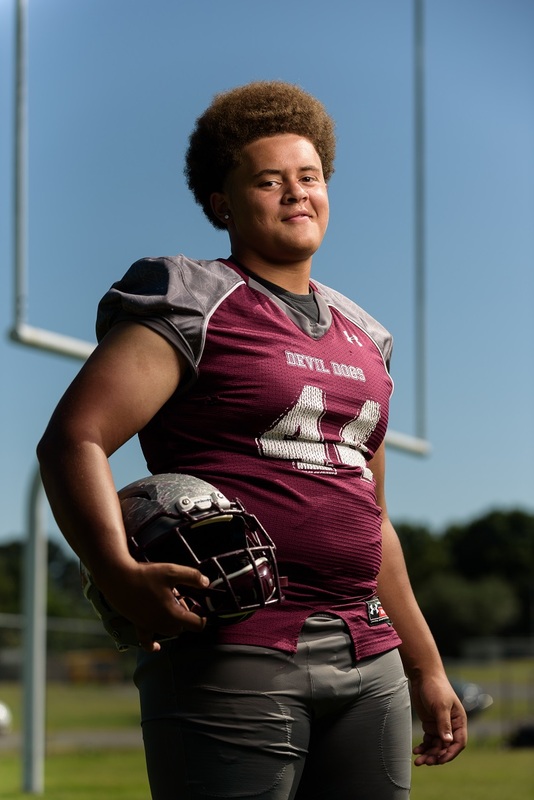 When it comes to being a team player in high school football, there’s no one quite like Morrilton senior nose guard Keywan Shavers. Shavers was selected to this year’s 501 Football Team — 28 players representing all 11 counties of the 501. The team, sponsored by Conway Ortho and Sports Medicine Center, Conway Regional Health System and First Security Bank, boasts the best the 501 has to offer both on and off the field. The senior was nominated by McNabb. A football veteran of eight years, Shavers has enjoyed multiple successes over the years with the Devil Dogs. In his senior season, Shavers embraces his responsibility to be a strong leader for Morrilton. After dropping a one-point heartbreaker to Alma last week, the Devil Dogs (2-4, 1-2) travel to Huntsville this week to regain ground in the Class 5A West. After high school, Shavers dreams of pursuing a career in law enforcement. Off the field, Shavers enjoys hanging out with friends, enjoying the outdoors and giving back to his teammates and classmates in the classroom at Morrilton. Morrilton plays at Huntsville at 7 p.m. Friday.